interesting dish, love the color. Hi Christine, I always buy pork chop (mui-tou pork chop) from chinese butcher in Oz and after cooking they are so tough to eat to our liking. Do you buy meat in Coles/Woolies? Thanks Christine! Love your blog and your book! 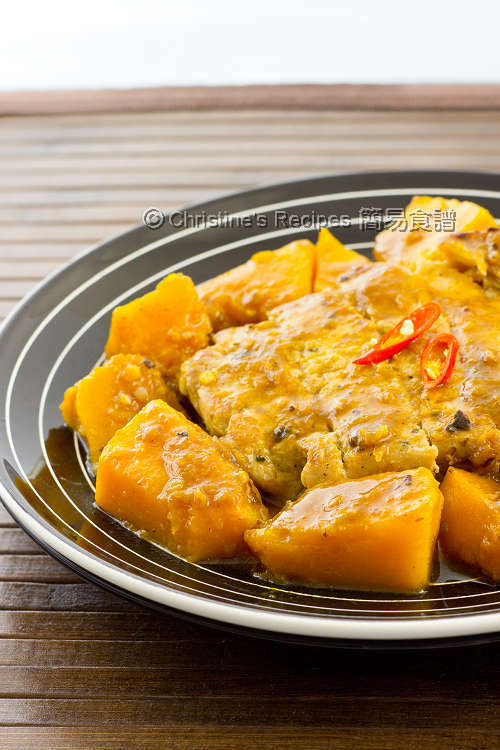 Is there a way this recipe can be converted to be cooked in a pressure cooker like an Instant Pot? Thanks!! Sure, you can use IP, high pressure, to cook the pork chops first. 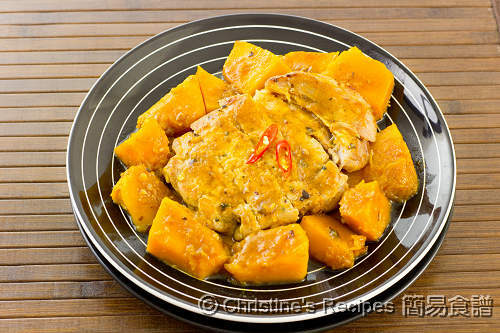 Then add the pumpkin and cook with pork chops for a short while. Check out my pork chop IP recipe on this blog as reference.